WASHINGTON (CNS) — As U.S. Catholic leaders grappled with the enormity of the April 15 fire that ruined the Notre Dame Cathedral in Paris, the word “iconic” came to mind for many of them. “Our prayers are with the people of Paris as the iconic Notre Dame Cathedral is burning,” said an April 15 statement by Archbishop Alexander K. Sample of Portland, Oregon; the blaze was put out after nine hours. 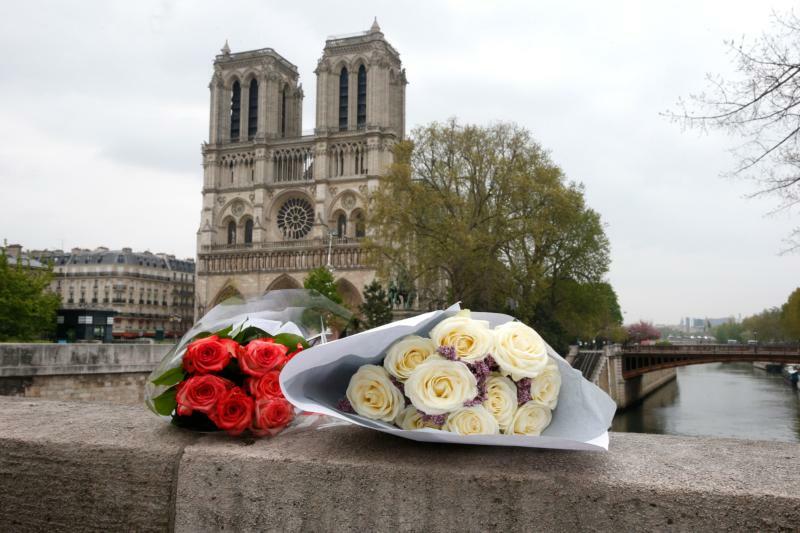 “Notre Dame has been an iconic house of worship for over 850 years and a prayer destination for faithful Catholics of Paris and from around the world,” said an April 16 statement from Bishop Nicholas DiMarzio of Brooklyn, New York. The Basilica of the National Shrine of the Immaculate Conception announced April 15 the creation of a website, www.supportnotredame.org, where people could contribute money for Notre Dame’s rebuilding. “Our hearts are with the firefighters and with the caretakers of the magnificent Cathedral of Notre Dame de Paris, said Archbishop Robert J. Carlson of St. Louis in an April 15 statement. “We ask for the intercession of Mary, Mother of God, and look to the promise of Easter hope and new life in the midst of this difficult loss,” he added. The archdiocese has experienced cathedral problems of its own, though not nearly as severe as the Notre Dame fire. The Basilica of St. Louis, popularly known as “The Old Cathedral,” was closed following the April 12-14 windstorms that swept through the country’s midsection. Work on a permanent underlayment for a new roof began April 15, but all services there are canceled until the safety of the ceiling is secured. Archbishop William E. Lori of Baltimore, in announcing the archdiocesan chrism Mass for April 16, invited “Catholics and people of all faiths” to “pray in solidarity with the people of the Archdiocese of Paris and all of France” in light of the cathedral fire. Francois Decoster, mayor of Saint-Omer in northern France — about three hours by car from Paris — and vice president for culture of the Hauts-de-France region, was scheduled to leave Maryland for France April 15. He and other officials had been in Baltimore and Washington for concerts by the 70-piece Saint-Omer Wind Orchestra to celebrate three centuries of cooperation between France and the U.S. Noting that he and his associates had been in the U.S. to celebrate the shared history between France and the United States, Decoster said, “Our history, of course, shares the history of Paris. The Carroll family knew the capital city.” John Carroll, the first U.S. bishop, studied in Saint-Omer. “At the same time, this tells us how important the patrimony is to the people,” he said of Paris’ heritage and culture. Notre Dame is especially important to these as a spiritual site and a site for visitors. “The cathedral has welcomed so many historical events,” Decoster said, mentioning how so many events have marked the ends of wars, important funerals, coronations and other significant occasions. Contributing to this story was Christopher Gunty in Baltimore.